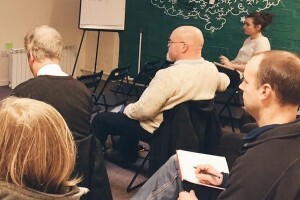 A regular meet up of ecommerce designers, developers and store owners, Ecommerce North East is great for those interested in online commerce. Insight by Newcastle ecommerce agency Peacock Carter. Ecommerce North East is a regular meet-up held in Newcastle for store owners, web designers, and ecommerce web developers. As an established ecommerce agency in Newcastle upon Tyne, Peacock Carter are regular attendees and like to contribute to the community. Our senior web consultant, Richard Carter, spoke at Ecommerce North East on the topic of Introduction to Magento in September 2015. For more information on the Ecommerce North East meetup,their MeetUp.com page.